Strap in for an aggressive marketing campaign from the cash-back company and Duncan Channon. Puppies and Steph Curry -- an unbeatable combination. The pair form center pillars for Rakuten’s new campaign created in partnership with ad agency Duncan Channon. Rakuten, which allows members to earn cash back while shopping at more than 2,500 retailers, is doubling down on a major marketing investment to introduce its brand and online loyalty platform to consumers in the U.S. and Canada. "Rakuten is all about rewarding consumers as they do the things they already do," said Michael Lemme, chief creative officer at Duncan Channon. "Getting cash back on purchases helps us do more of the things we love. We’re enormous fans of the Warriors, naturally, and sweet, sweet pupperinos, so it was fun to create stories for these characters that so many of us can relate to." The new spots, "Moving In" and "Good Boy" feature NBA champion Steph Curry who joins Rakuten as a brand ambassador after signing a multi-year agreement. Rakuten has been working toward its entry in the North American market since it acquired cashback shopping platform Ebates -- with its 12 million customers -- for $1B in 2014. In addition to TV advertising, Rakuten has aggressively been building its U.S. presence as an official partner of the NBA, a three-year $60M jersey-badge partnership with the Golden State Warriors and recent partnership with Steph Curry on his "Underrated Tour." Kim Miller, CMO at Rakuten North America: "We’re excited about how these entertaining new spots will accelerate the strong momentum we’re building for Rakuten in North America. "Building our presence in the U.S. via our sports partnerships and advertising is a top priority for the brand this year. 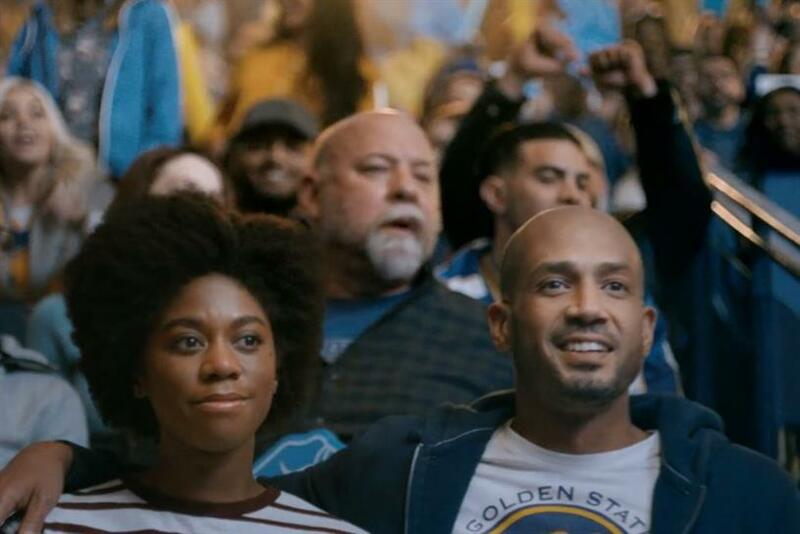 We couldn’t be more pleased to launch this creative with our newest Brand Ambassador Stephen Curry as the Golden State Warriors chase their third consecutive NBA championship."